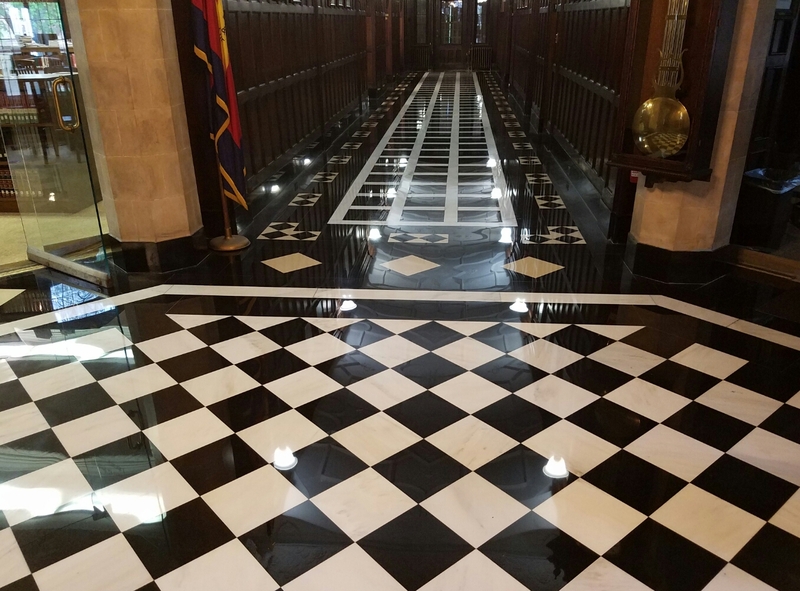 Restoration of Marble Lobby Floor in Chicago’s Historical Mansion. 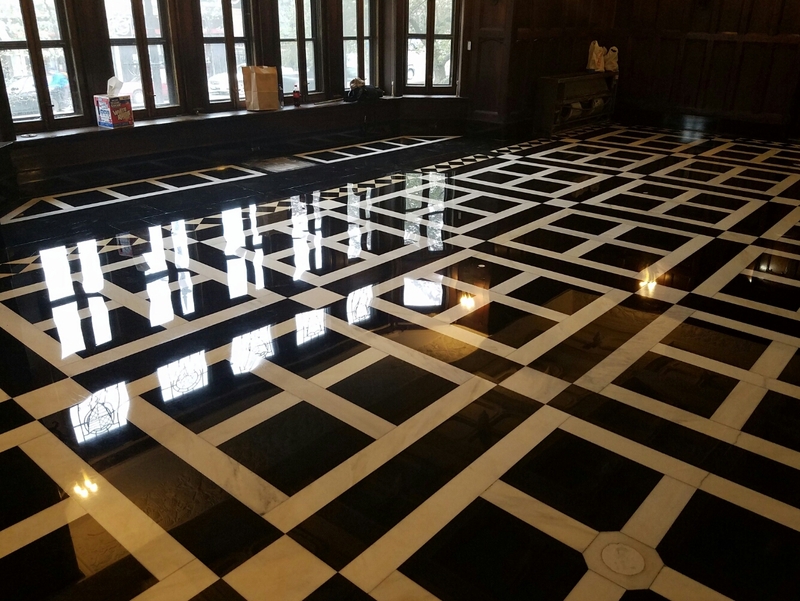 24 02 Restoration of Marble Lobby Floor in Chicago’s Historical Mansion. This distinctive red brick structure was built as a 45,000 sq ft family home for shoe manufacturer Joseph E. Tilt in 1914. The mansion originally had 14 bedrooms, 17 fireplaces, a library, ballroom, billiards room, wine cellar and gym. The Salvation Army purchased the property in 1920 to house cadets in training. For Joseph this building ment to represent his status of being millionaire shoe manufacturer in entire Chicago land. I personally would place this building into short list of the most beautiful architectural masterpieces of Chicago. 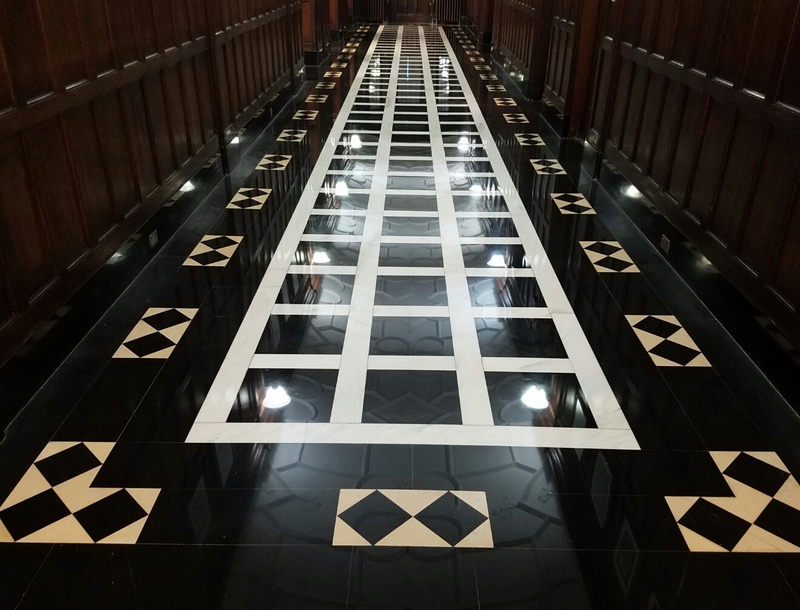 The reason of writing this blog is of course the most fascinating marble floor lobby this mansion has that we ever seen considering the age, marble selection, installation methodology and of course the design. We were fortunate to get invited to give an estimate last April. 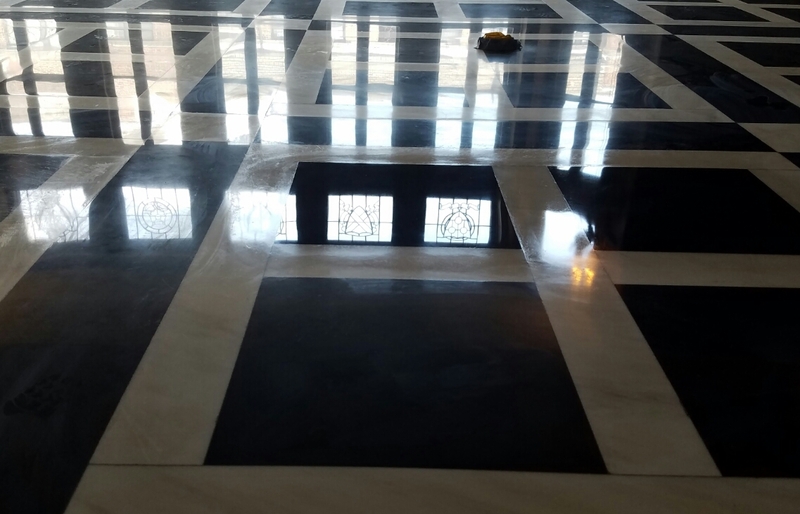 Later we have learned that there were three companies before us that tryed to diamond polish the marble floor but all of them basked off and claimed that the marble could not be polished and suggested applying high gloss finish coating instead. 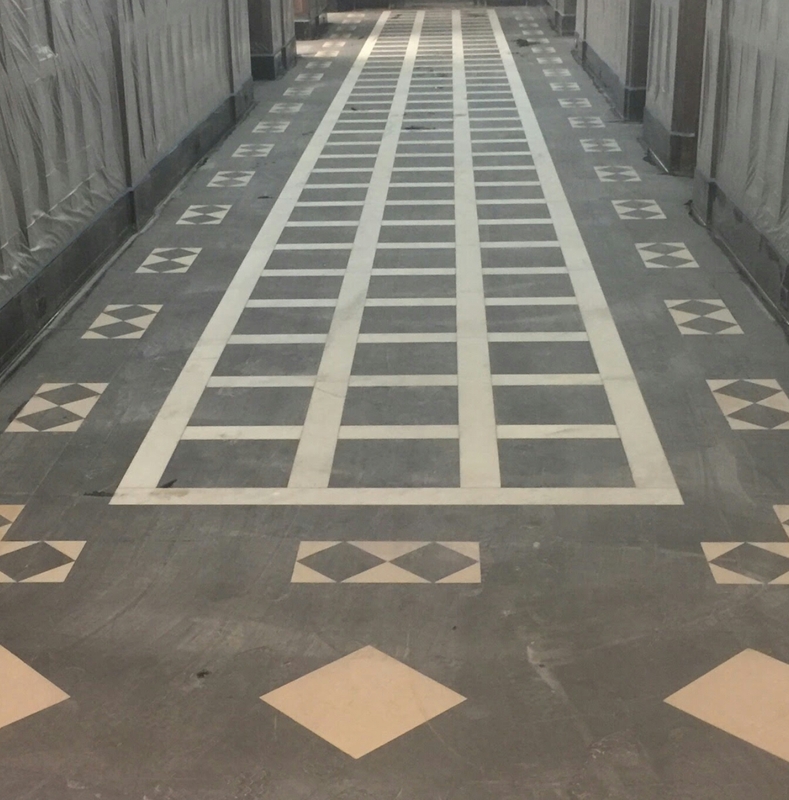 But let us take you back and describe the characteristics and conditions of the lobby floor. The first excitement for us was to discover that there was no grout joints between the slabs. I’m not sure how much it tells you but in our case it represents high level of craftsmanship and professionalism behind the work. The purpose of tight joints is well thought idea which leads to so colled seamless floor system. The system that is almost impossible to see in new buildings. 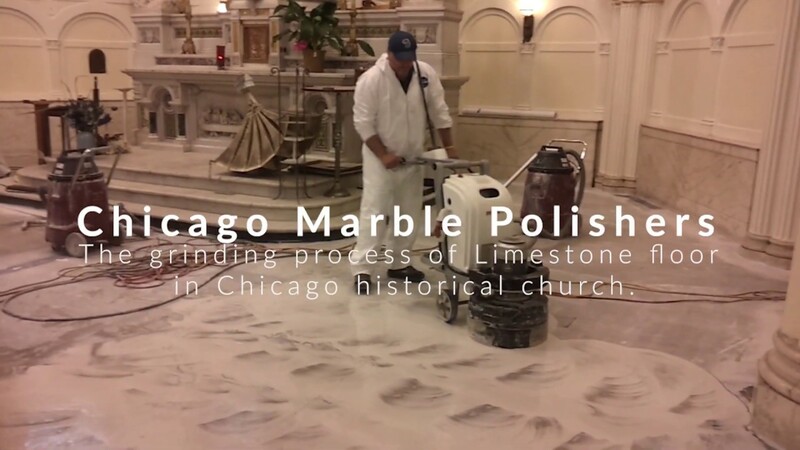 For sure behind this 105 years old marble floor were Italian immigrants fresh from the boat bringing in craftsmanship that was given to them by generations of stone masters. 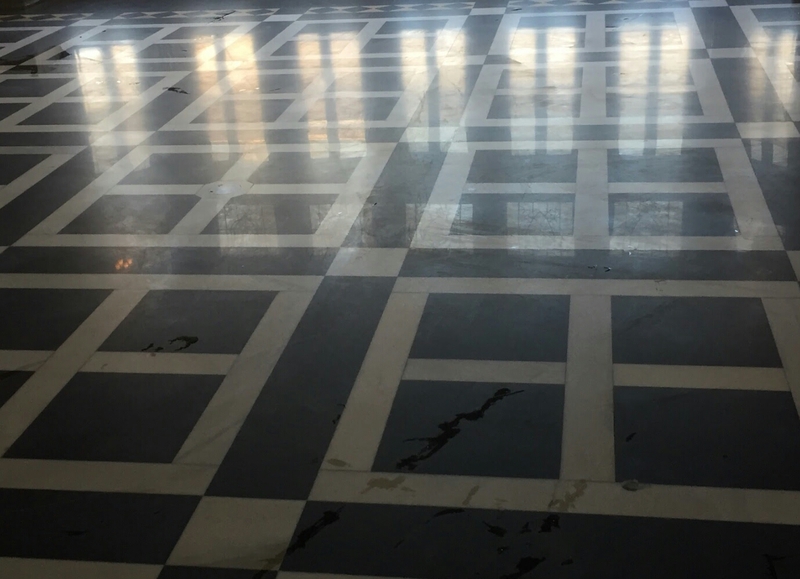 Obviously seamless floor system dictates the grinding the floor flat by leveling each slab elevation to single plane and this surface wasn’t exception. It was flat and seamless. And now how about design and pattern? 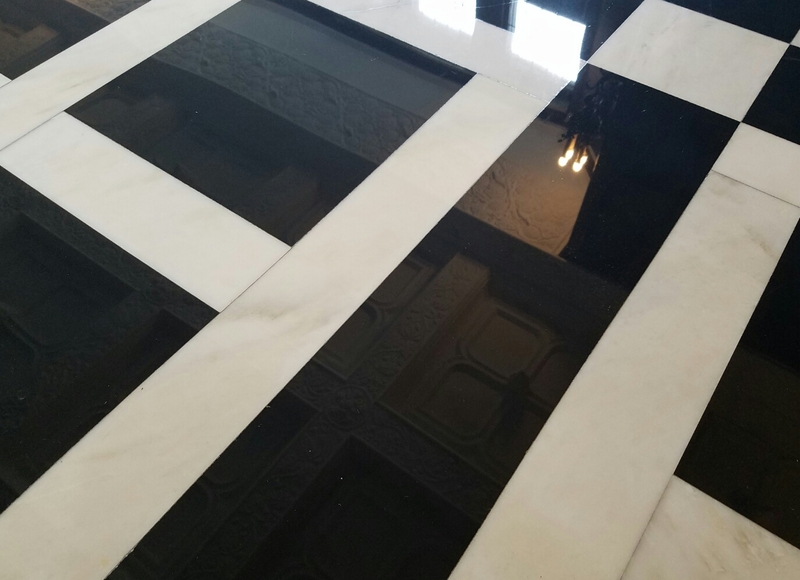 The perfectly selected pure black and white marble segments with combination of accurately calculated and geometricly thoughtful patterns made the floor the masterpiece of stone work. But to follow the importance of this blog we need to highlight the main reason why we’ve got invited there in the first place. 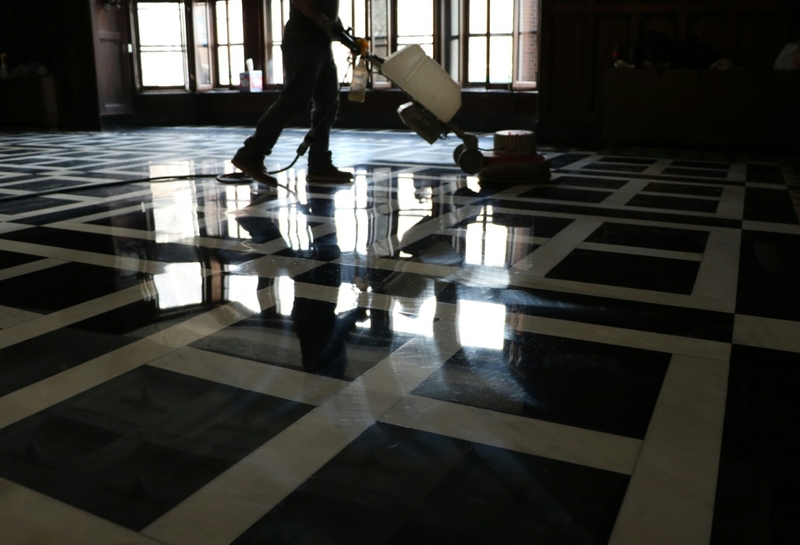 It took a second to realize the floor was covered with thick coat of wax. The amount of wax that took away the whole natural appearance of the stone and made it look plasticy. It didn’t metter what was underneath of coating, the beautiful marble or cheap vinyl. The daily wear and tear, scuff marks, scratches,sadness and suffocation was an imprint of routine janitorial maintenance. Something had to be done asap and the building owners were aware of the facts and causes. As we have mentioned earlier there were three contractors before us but with no success of producing enough clarity of diamond polished stone. 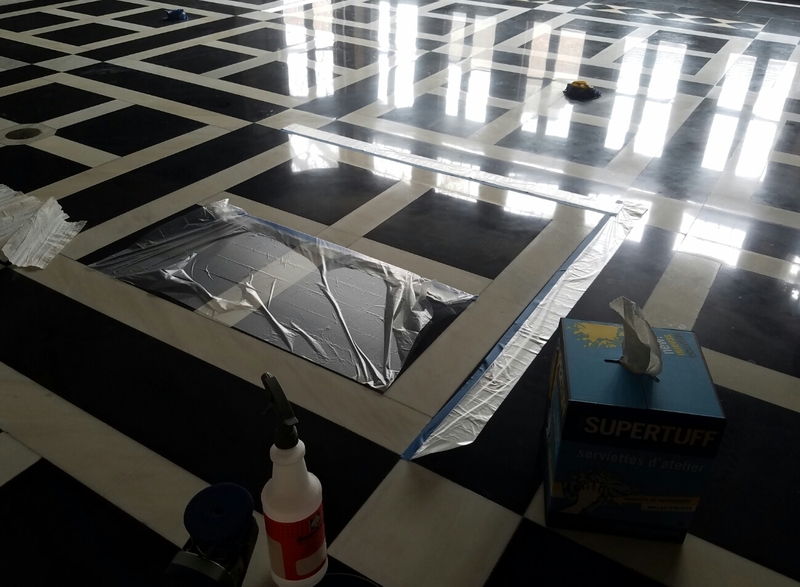 The black marble is hardest marble to rifinish and many marble restoration companies back away from it. Every project is a challenge but this was playoff kind of challenge. 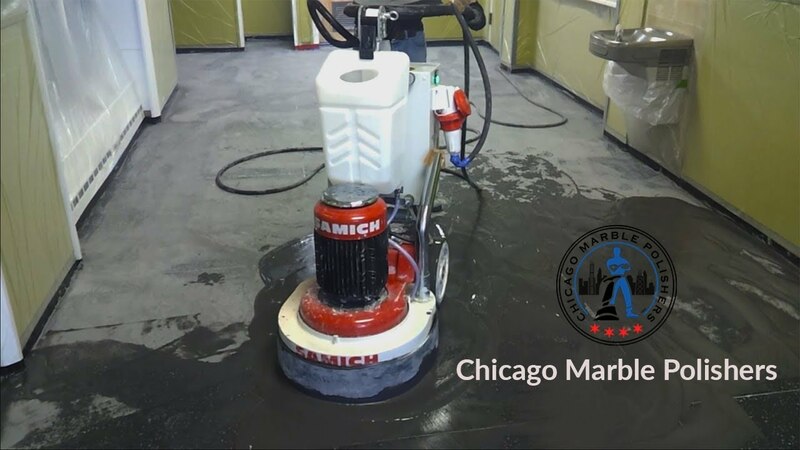 We mapped the small segment area and started to grind the marble with 50 copper bond diamond pad to remove an existing coating along with first diamond cut followed by resin bond diamond pads progressively up to 800 grit. The sample was successful and methodology and strategy was established. And the most importantly client was stunned and surprised. The job was ours and from the playoffs we went to world series. From that point it was a matter of transforming the small sample methodology into bigger scale. We put three man team equipped with heavy duty planetary grinding machines and hand held grinders for edge work around the perimeter. The couple sets of low grit diamonds and floor was perfectly cut and prepped for honing stage. 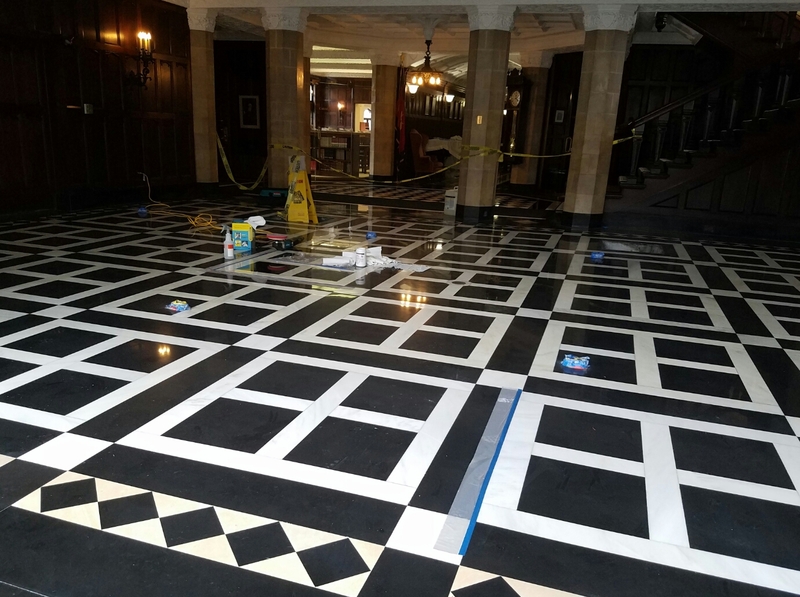 Using high quality resin bond diamond pads with accurately measured bonding selection insured scratcless and from grit to grit well transitioned seamless floor. The reflection started to appear pronouncedly as we were reaching up to grit 3000. 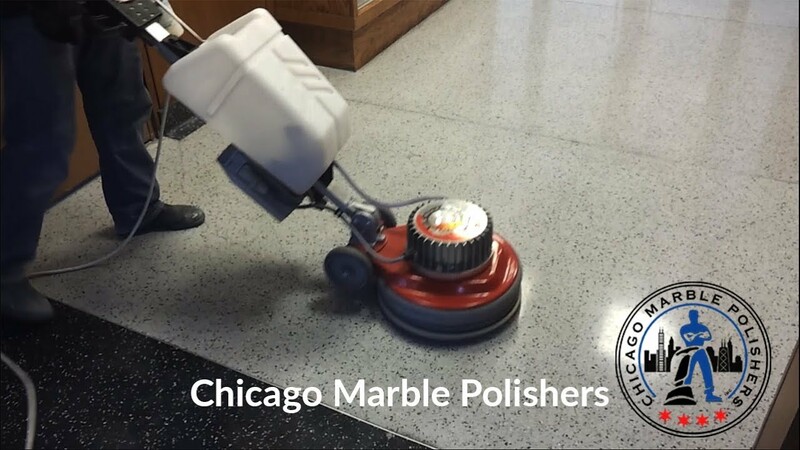 The polishing process required moving into light wait swing machines with heavy duty motors to insure proper resistance toward high friction and heat and less head pressure. Segment by segment marble was getting glass like and mirror image appearance. It’s reflection contained every single image of the entire exterior’s decorative moldings and wood working. 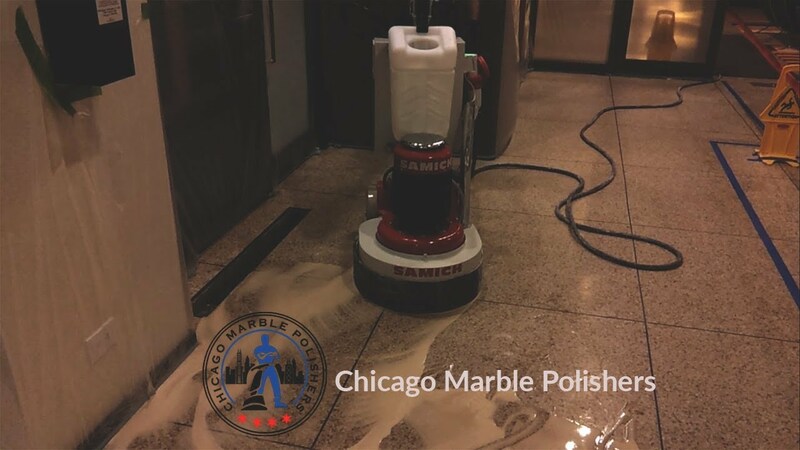 From suffocated and plasticy looking surface it became The Rolls Royce of marble floors. 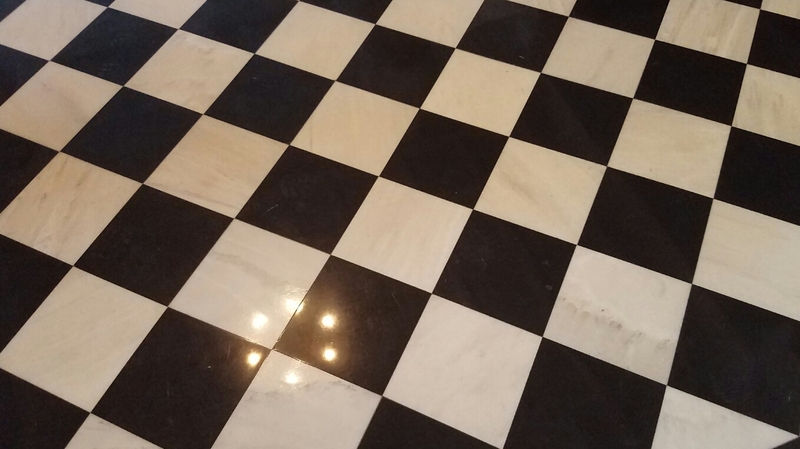 The exact floor Joseph E. Tilt would wanted.